More than 150 guests heralded advances by commercial farming, agribusinesses, and farmer organizations that had collapsed during the economic turmoil of the 2000s, when Zimbabwe was forced to become a net importer of food. At the February 5 event in Harare, U.S. 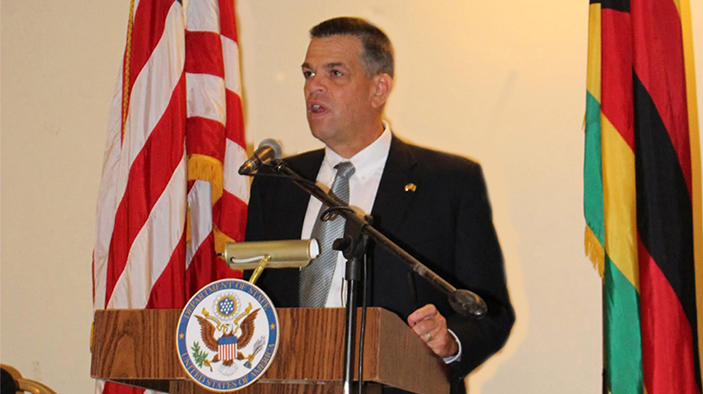 Ambassador to Zimbabwe Bruce Wharton told the audience that realizing Zimbabwe’s vast agricultural potential was “essential to poverty reduction, food security, and long-term prosperity and growth,” according to NewsDay Zimbabwe. “Last year’s robust harvest helped significantly reduce the reliance of poor Zimbabweans in drought-prone areas on emergency food support, and helped smallholder farmers partially recover and hopefully get back on a sustainable development pathway,” Wharton said. The 4½-year Zim-ACP project was launched by the U.S. Agency for International Development and implemented by DAI to re-establish Zimbabwe’s rural market infrastructure, extension and agricultural education systems, and private sector-driven growth. A post-event survey found that the key takeaways of the event’s attendees were the importance of agricultural quality standards, evidence-based advocacy and lobbying, and the value-chain approach to addressing agriculture sector challenges. They also said that the private sector should drive the competitiveness agenda while the government ensures policies conducive to economic growth. USAID Mission Director Melissa Williams said Zim-ACP played a critical role in ensuring a healthy dialogue between agricultural organizations and government, according to NewsDay Zimbabwe. “The program has been instrumental in helping agricultural organizations use evidence and analysis to assess the impact of policies and regulations affecting their sectors,” Williams said. Event attendees included Deputy Minister for Agriculture, Mechanization and Irrigation Development (Livestock) Paddy Zhanda, and Professor Mandivamba Rukuni of Barefoot Education for Afrika Trust, who delivered the keynote. The Ministry of Industry and Commerce used the occasion to announce the rebranding of the National Pricing and Monitoring Commission (NIPC) to the National Competitiveness Commission (NCC). The NIPC/NCC will be reviewing new business regulations and repealing those deemed archaic or restrictive. The NCC also will research constraints, offer solutions, and assist private firms, including with innovative research grants at the firm and industry levels. Facilitated training in “Farming as a Family Business” for 11,274 enterprises covering all eight provinces.